Arket's third UK store is set to open in the Spring. 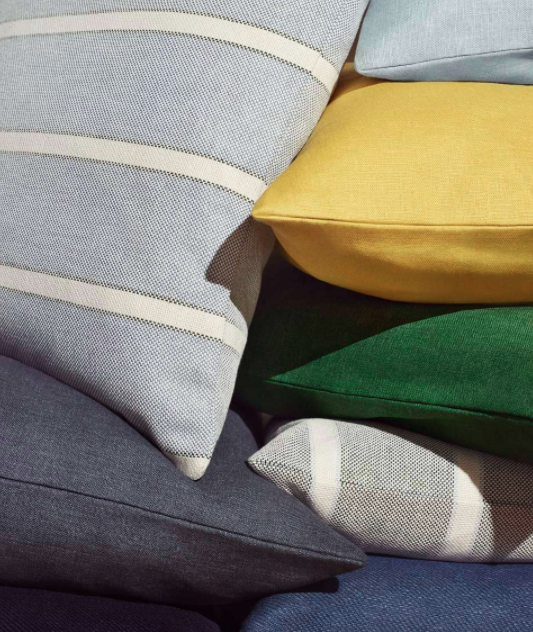 The latest brand to grace our shores from those stylish Scandinavians is Arket, a "modern-day market that offers essential products for men, women, children and the home". I first came across the name while walking through Westfield Shopping Centre in Stratford (the flagship store opened on Regent Street last summer but I rarely venture in to town these days!). The huge banner in the window of a unit that was previously occupied by H&M stated that Arket would be 'opening in Spring 2018' so of course as soon as I got straight on my phone to Google it. Arket's glassware range features simple, mouth-blown pieces. If you love H&M you'll love Arket for it turns out that this a new brand under the H&M umbrella. Slightly more expensive than its parent company, Arket's emphasis is on quality and sustainability but also, perhaps unusually in this throwaway society, longevity. The homeware department ranges from kitchenware and soft furnishings to bathing accessories and stationery although each collection is relatively small. As I said, the central theme is quality, not quantity and each piece has been thoughtfully designed in that simple, inimitable Nordic style. Linen and cotton cushion covers, from £12. Although most items are designed in-house, the store does also stock a few pieces from external brands, mostly in the shoes and accessories departments but in homeware you can find utensils and cleaning implements from Iris Hantverk, vases from Alvar Aalto and Portuguese pottery from Bordallo Pinheiro. I've got my eye on some stylish hand-wash and lotion for the bathroom and terracotta pots for my new plant fascination. I can't wait to see what else is in store! Porcelain bowls in five sizes, from £5.